Limitless Living: Do You Have Real Friends? With this in mind, it is important to first be aware of the kind of people who are around us in our lives now. Then ask yourself this question: are these people inspiring me to become the best version of myself? If they are, great. And if they are not, it may be time to find people who appreciate the best in you. Real friends see the best in you, support you no matter what you are doing, encourage, inspire, challenge and help you stay strong during tough times. 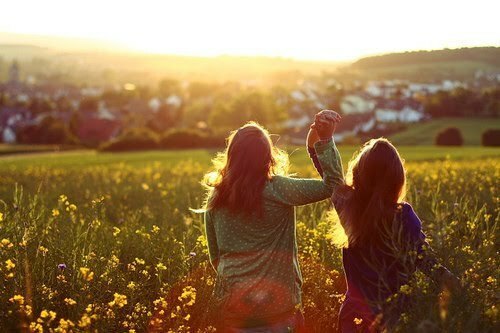 Real friends share in your joys as well, holding your hand as you walk your destined path. When Demi Lovato came out of rehab, she did a friend cleanse, knowing that to be her happiest self she would need to be around supportive people. Commit to people who really care about you. Inspire and support and be inspired and supported. I remember when I didn't have real friends in my life- especially since I was going through a lot of stress at the time, everything became more challenging. Now I have amazing people around me who I feel more than blessed to have. Sometimes it takes a bit of searching to find the people you need, but believe me, they are out there. Don't ever settle for less than what you know you deserve.